What Makes Ford Fusion the Best Option for any Car Lover? 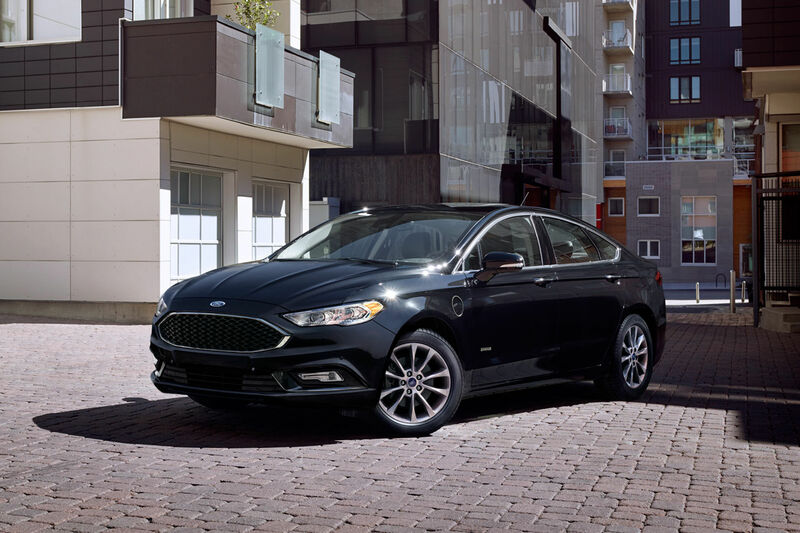 The Ford Fusion sedan is designed with careful intelligence and finesse; when you step in the car you automatically standout in the crowd. It has been designed to draw attention on the road. In addition to its varying colors and design options, you can choose from multiple engine versions, transmissions, and front or all-wheel type models. What gets the motor running? The basic model of the Fusion comes with a 2.5L i-VCT I-4 engine. Auto-start is usually recommended for the Fusion and Fusion hybrids since it can boost the engine efficiency considerably. The engine has an all-aluminum construction and direct fuel injection. It comes with an intelligent all-wheel drive sensor that balances the torque between front and rear wheels to maximize traction. The laser cut headlamps and LED tail lamps give a taste of customized craftsmanship to the Ford Fusion. You can easily feel that the primary goal of Fusion is to provide luxury with complete safety. In addition to leather finished interiors with ample leg space, you will find inflatable rear seatbelts and instant deploying airbags with every basic mode. The driver assist features are ubiquitous to each model and help you maintain lanes, parallel park, and alert you of vehicles in your blind spots. How to always stay in control? 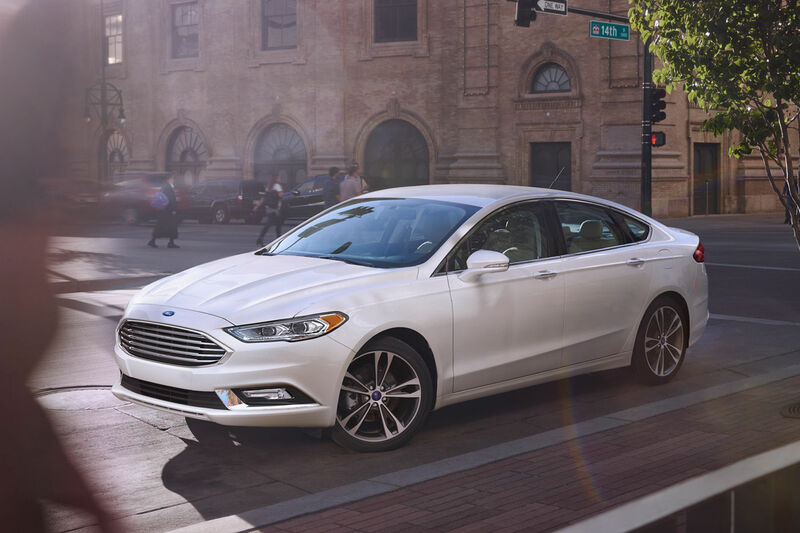 The look of the new Fusion is not just cool or sleek - it is simply aerodynamically inspired art. The grille shutters can be actively opened and closed to maintain engine temperature. This protects the engines from overheating on a long drive. There are luxurious climate control features which keep you comfortable in your car throughout the year irrespective of the temperature outside. 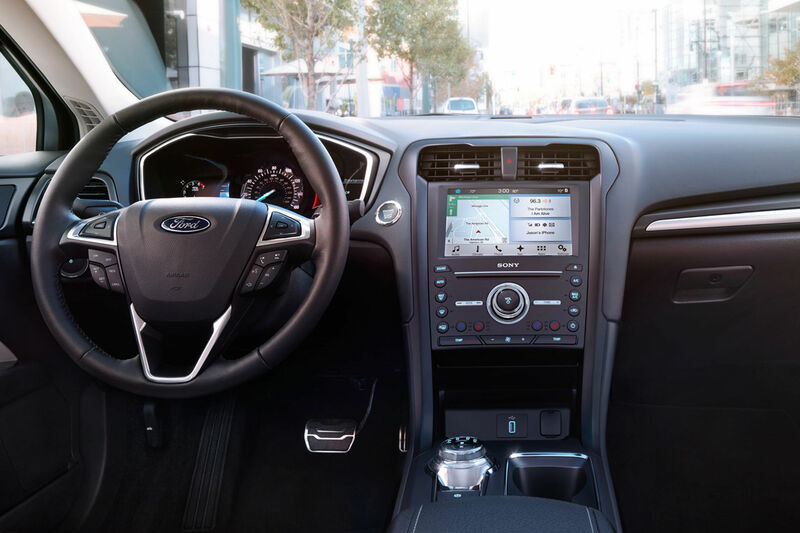 Even the steering wheel comes with heat control features which can be controlled manually through MyFord Touch Screen options.